That’s not a slam on Kirk, Picard, Benjamin Sisko, Kathryn Janeway or Jonathan Archer. 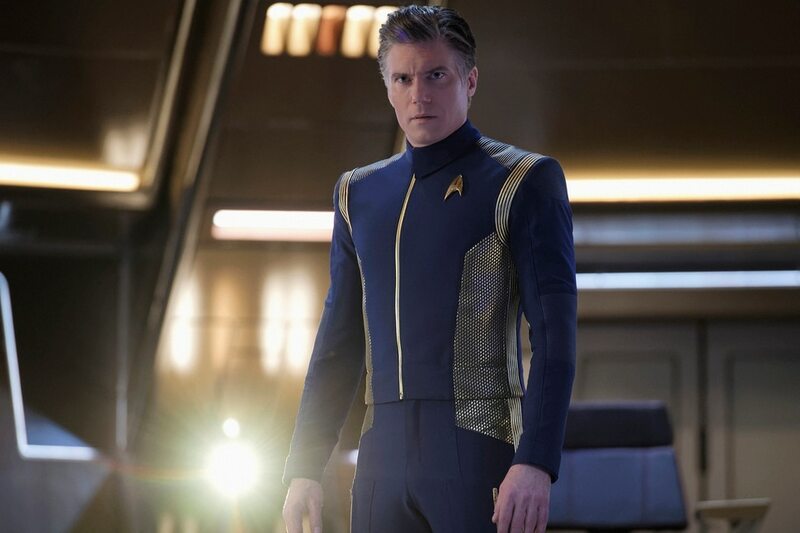 But, as portrayed by Anson Mount, Captain Pike is practically perfect in every way. He’s smart. He’s capable. He’s loyal. He has a sense of humor. He’s a great leader who quickly wins the loyalty of his crew. He listens to his subordinates and takes their advice. He’s brave. He’s not afraid to buck authority when necessary, but he doesn’t make a habit of it. 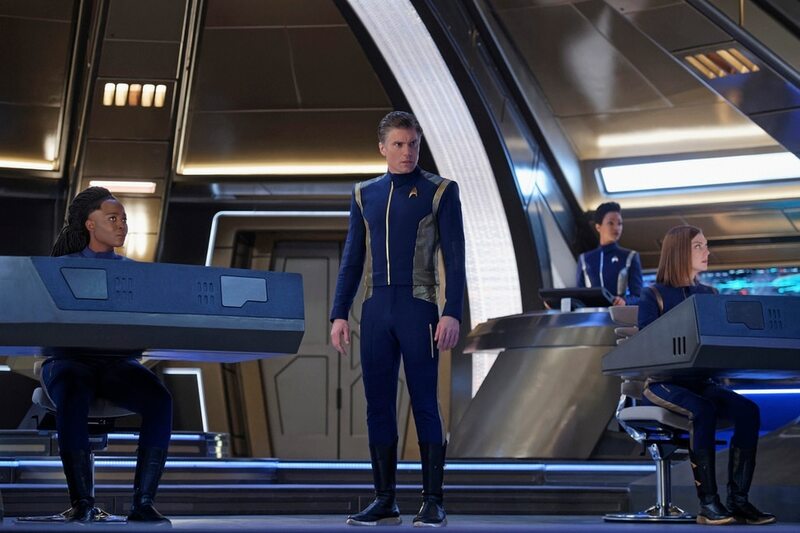 Pike is a stabilizing influence for a crew that struggled through the first season while led by [SPOILER ALERT if you didn’t watch Season 1] the alternate-universe doppelganger of Captain Gabriel Lorca (Jason Isaacs). Mount is the third actor to play Christopher Pike. Jeffrey Hunter originated the role; he starred in the original 1964 pilot, “The Cage,” which NBC rejected. (It was later incorporated into The Original Series episode “The Menagerie.”) And Bruce Greenwood played Pike in the alternate-timeline movies “Star Trek” (2009) and “Star Trek Into Darkness” (2013). Scott D. Pierce: Ignore the haters. ‘Star Trek: Discovery’ is good. It’s surprising that, on “Discovery,” Mount as Pike has overshadowed the third incarnation of Spock. That’s not a knock on Ethan Peck, who’s following in the footsteps of Leonard Nimoy and Zachary Quinto, but Pike has been instrumental in turning a good “Star Trek” series into a great “Star Trek” series. In its second season, it’s gripping sci-fi drama — and, with a budget reportedly in excess of $8 million per episode, it’s gorgeous to look at. “Discovery” takes place about three years after the events in “The Cage” and about a decade before The Original Series begins. Pike took over the Discovery while his heavily damaged Enterprise was being repaired, leading his new crew on a series of adventures involving the “Red Angel” from the future and an artificial intelligence that threatens to end all sentient life in the galaxy. 2. Jean-Luc Picard (“The Next Generation,” 1987-1994; movies, 1994-2002) • Picard (Patrick Stewart) was supremely competent and capable, and his behavior was always above reproach. An inspiration to his crew, he never let his ego get in the way of his duty and, more often than not, found a way to solve conflicts without battle. Except with the Borg, who did assimilate him for a while. 4. Kathryn Janeway (“Star Trek: Voyager,” 1995-2001) • Janeway (Kate Mulgrew) got kind of a bad rap when “Voyager” was on the air. (Surprise! There’s sexism in science fiction.) But she commanded a crew that combined Starfleet personnel and Maquis rebels; defeated the Borg; and got her crew home from the other side of the galaxy. 5. Benjamin Sisko (“Star Trek: Deep Space Nine,” 1993-1999) • Sisko (Avery Brooks), a commander when the show began, was promoted to captain at the end of Season 3. And he had to balance his duties to Starfleet with his religious role as the Emissary to the Prophets for the planet Bajor. The character warmed up over the years, and he did play a major role in the Federation’s victory in the Dominion War. 6. Jonathan Archer (“Star Trek: Enterprise,” 2001-05) • Archer really did boldly go where no one had gone before — his NX-01 Enterprise was a prototype and his pre-Federation, Earth crew were neophytes. A little laid-back at times, he was handicapped by a show that didn’t figure out what it should be until its fourth and final season. 7. Gabriel Lorca (“Star Trek: Discovery,” 2017-18) • Well, he was a fake and a villain from an alternate universe. Which easily puts him in last place on this list.